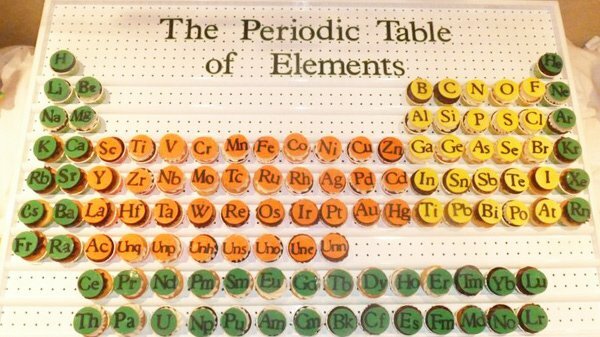 From a Periodic Table of Elements made completely from CUPCAKES (GENIUS!) 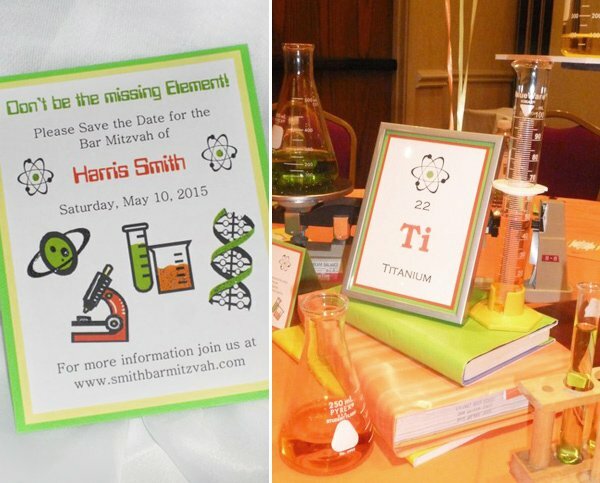 to clever centerpieces featuring scientific elements reflective of the people seated at the table, this Chemistry Themed Bar Mitzvah is filled with tons of super creative ideas for celebrating your favorite little scientist! 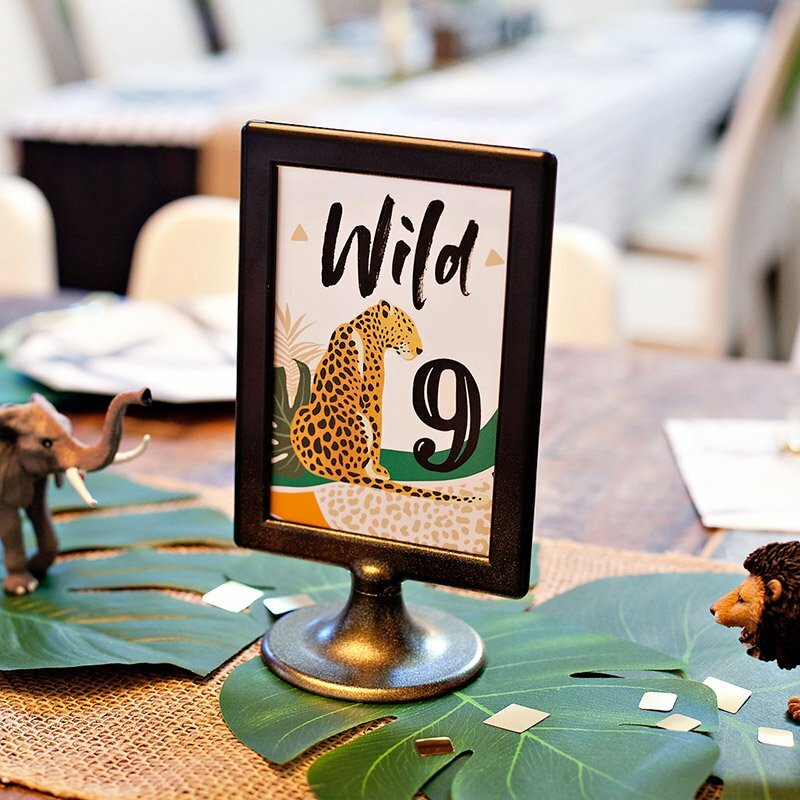 Everything from the invitations & printables (including scientific name badge “place cards”) to the event styling & baking was done by Angela of Invites & More…by Angela. 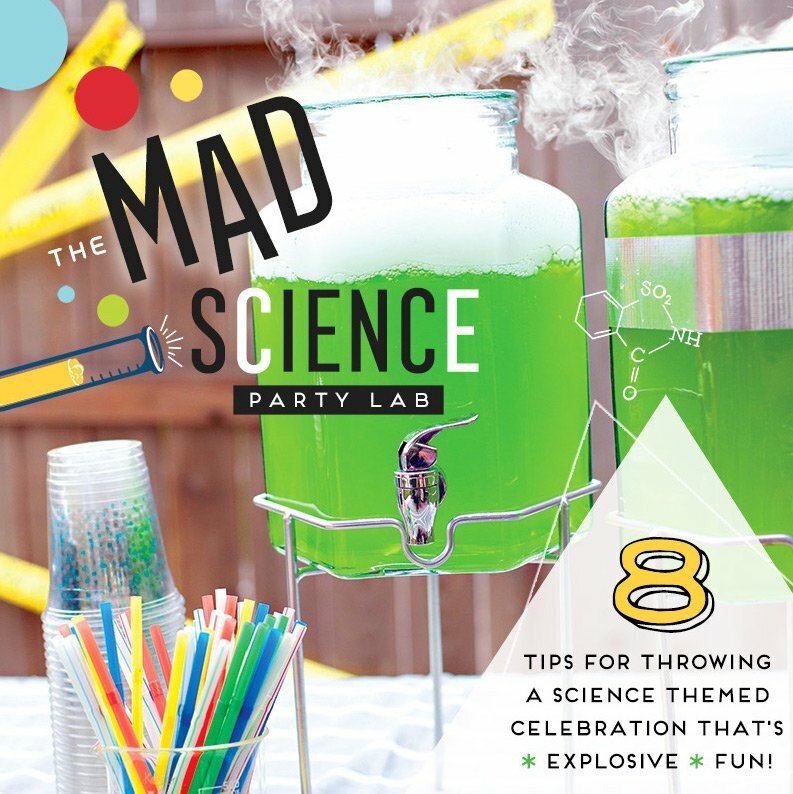 The chemistry theme is highlighted in every detail of the party, but I’m especially loving Angela’s table centerpiece design, which features covered text books and scientific equipment like beakers, flasks, and test tubes filled with colored water. 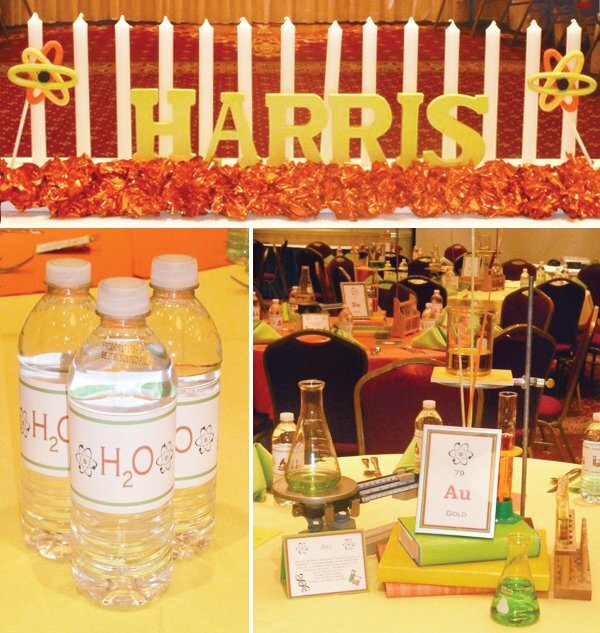 All of the equipment was borrowed from the guest of honor’s school… now that’s SMART! 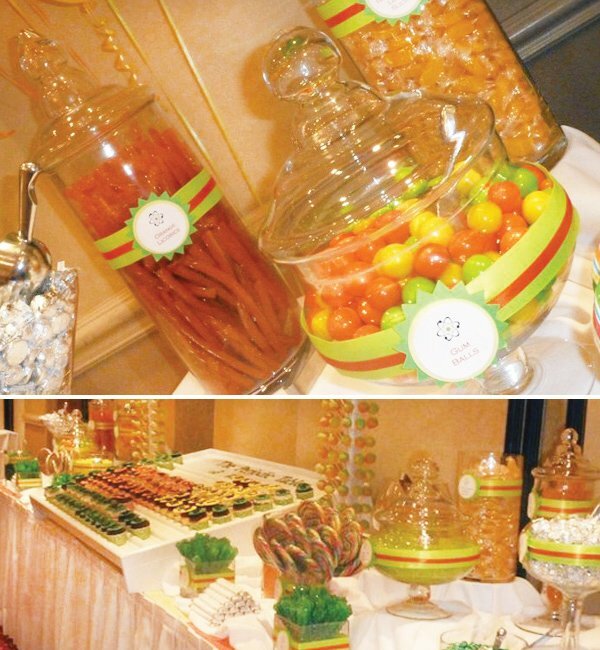 “The party took place at a Hilton Hotel in Michigan. 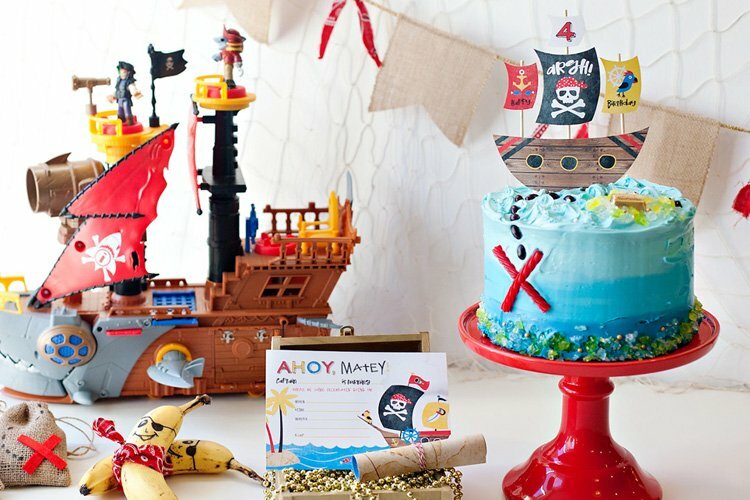 I made everything you see here, from the centerpieces to the cake pops to the candy bar labels and water bottle wrappers! 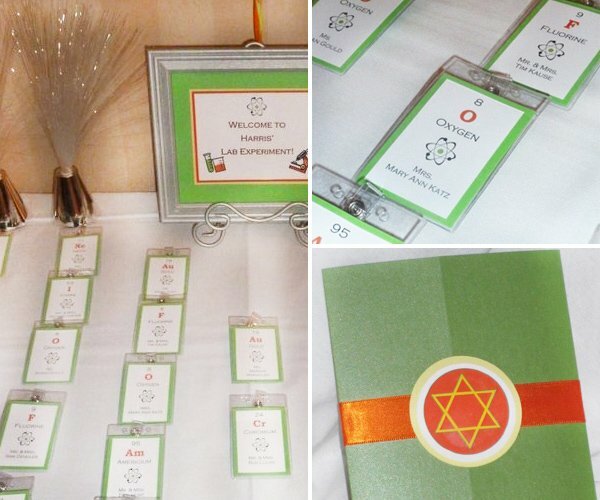 The place cards were name “scientific” name badges and all of the table elements were Elements from the periodic table. Each table Element was chosen for each table with the people that would be seated at it in mind. 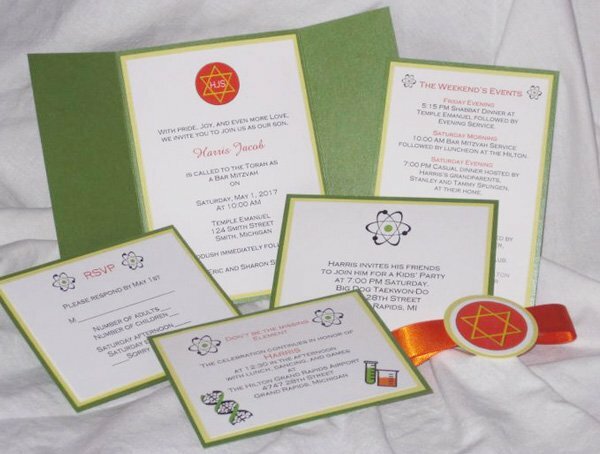 For example, the Bar Mitzvah Boy’s parents were seated at “Carbon” which is the basic element for all life. His Grandmothers were seated at Au (Gold) and Pt (Platinum), there were even a table of Physicians seated at I ( Iodine). I guess that is about as humorous as you can get with Chemistry… LOL! 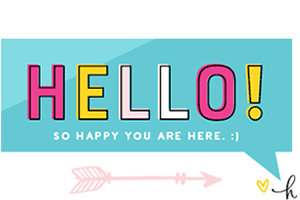 Love the concept!!! Great party. Congrats! As a chemistry teacher, this made my day. Beautiful and so creative!!! 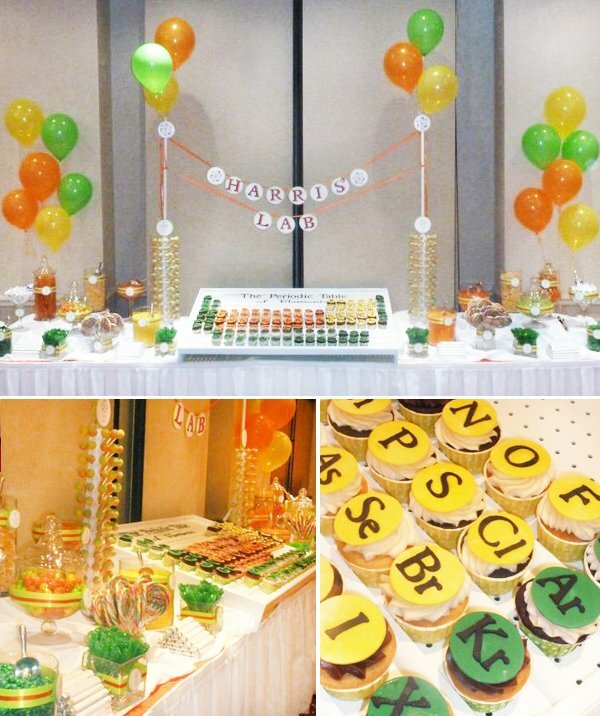 *Love* the periodic table made of cupcakes! So clever! 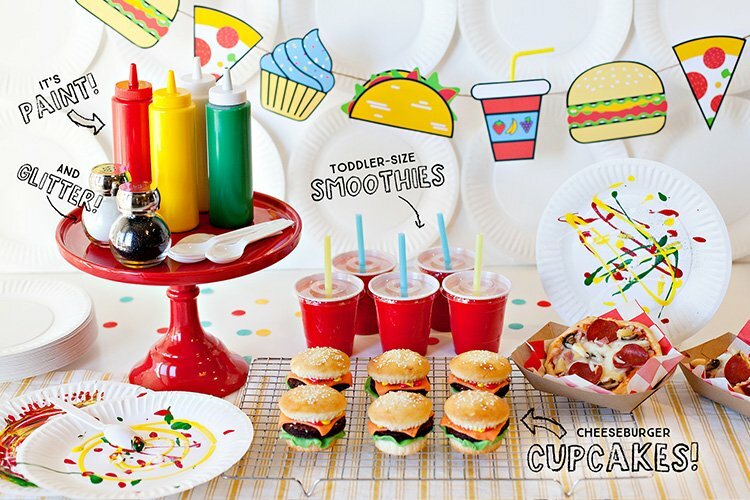 ME GUSTO MUCHO JOSSIE SOBRETODO LO DE LOS CUPCAKES D LA TABLA.